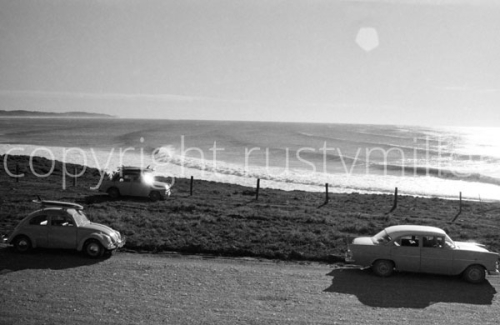 We used to be able to drive in and park on the hill near the headland at Lennox if you had a four- wheel drive. This was Paul Witzig’s International truck with the peace sign on the inside of the back door. 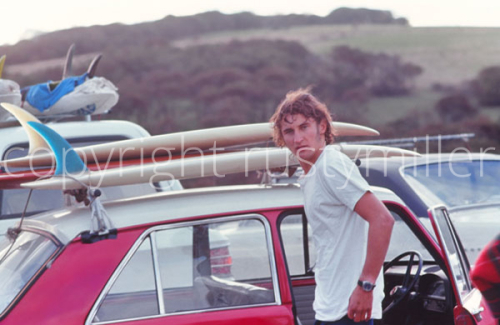 Not every other surfer had one in those days. 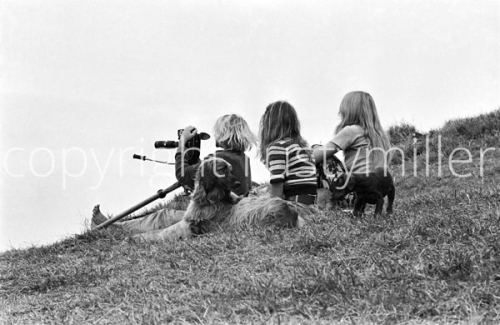 Paul was filming Sea of Joy. 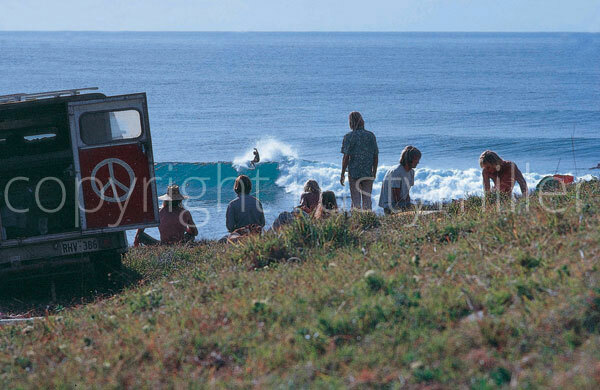 This is my favorite lifestyle shot that shows what we were all into at that time, the perfect Lennox Head point day. Ah, when time suspended into long, warm sun-drenched sessions. The consistent quality waves here were the main dynamic energy source and common denominator. They gave us life force.